You can use a chart to track your money flow manually. The link to this model chart can be found below. 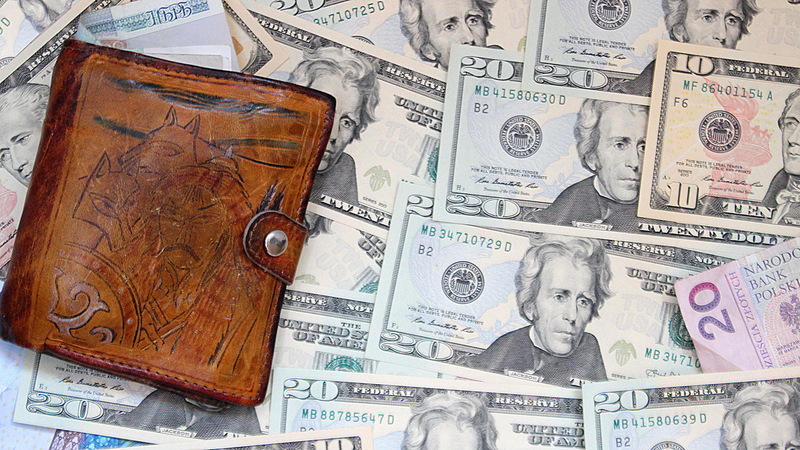 How much money do you need for living each month? How much could you save by reducing excessive spending? If you don’t know the answer to these questions, it’s time to find out. To start saving money to travel the world, you need to know how much you spend now and where all the money is going. After all, changing your money consumption without studying it would be like solving geometry problems without checking the formulas. Getting a routine of personal accounting also makes you think more about your use of money, which will help you reach those long-term goals. I use the ”entertainment” category for both amusement and other unnecessary purchases.I also separate eating at restaurants (excluding the super cheap Finnish university eateries) from other, less expensive ways of eating. These two columns almost completely consist of avoidable – or at least reducible – payments, so you can save a lot of money by changing your habits here. There are two kinds of goals you can set for your saving: periodic goals and a final budget goal. Once you’ve learned your monthly costs of living, you can set an approximate goal of how much money you try to spare each month. 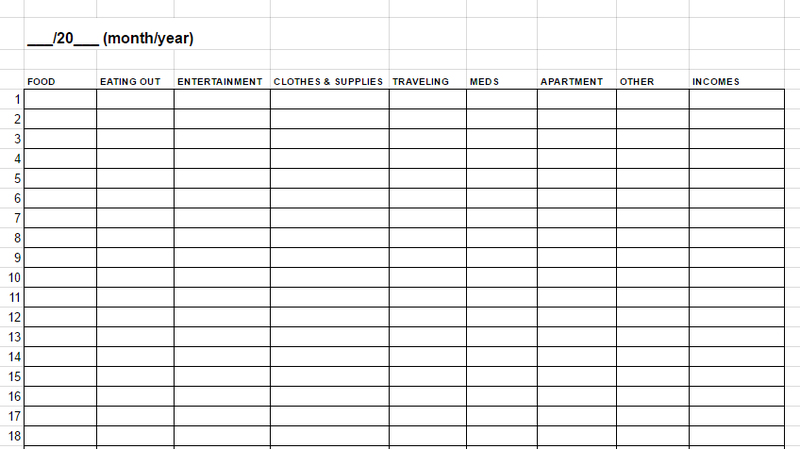 You can also estimate a rough budget for your upcoming journey. I recommend that you add at least 20% extra to your original estimation. There will be lots of surprising payments and it’s better to be prepared for them. After taxes, my net salary in my previous job was about 1500 euros. By living very economically and utilizing student discounts – especially the super cheap university restaurants! – I could save about 800 euros each month. I didn’t really have a set target I tried to achieve while saving money for traveling the world. 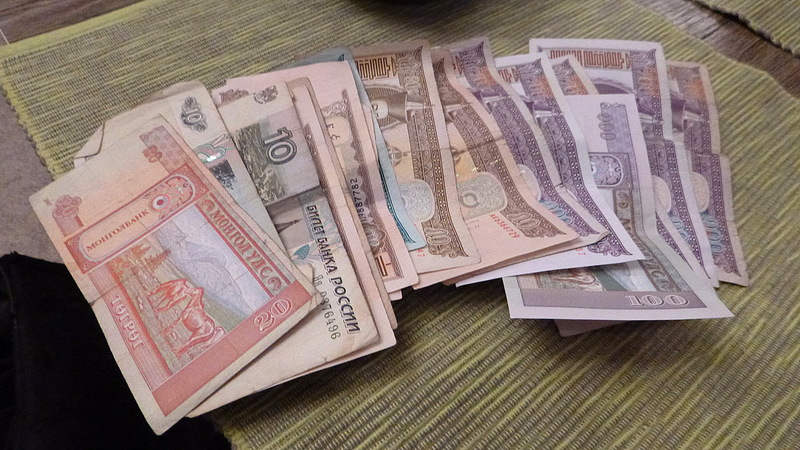 Still, I sometimes counted how much money I’d have by the time I’d start my trip. Every time I got extra money from somewhere, my travel budget and plans quickly expanded. Now that you’ve started to slowly build up your treasury, you don’t want your painfully collected the savings to vanish again, don’t you? To prevent that, you have to hide your savings from their biggest threat: yourself. One of the easiest ways to store your savings is by starting a savings account. The interest rate of the account is close to nothing, but it limits your access to the money and helps you see how much you’ve saved so far. Nevertheless, I recommend that you don’t completely block your access to all your savings. To make your daily life a lot more stressful, you should build an ”emergency bumper” from some of your savings. This bumper will help you with sudden expenses so you don’t need to take expensive loans. The size of the bumper is yours to decide, but a good rule of thumb would be to have your living costs of 1-3 months available as a backup. I’ve had a savings account for a few years now, albeit I used most of my original travel savings on an extended trip of the Trans-Siberian railway in summer 2015. My savings account was quite empty after that, but once I started working again, I could again top up my account. 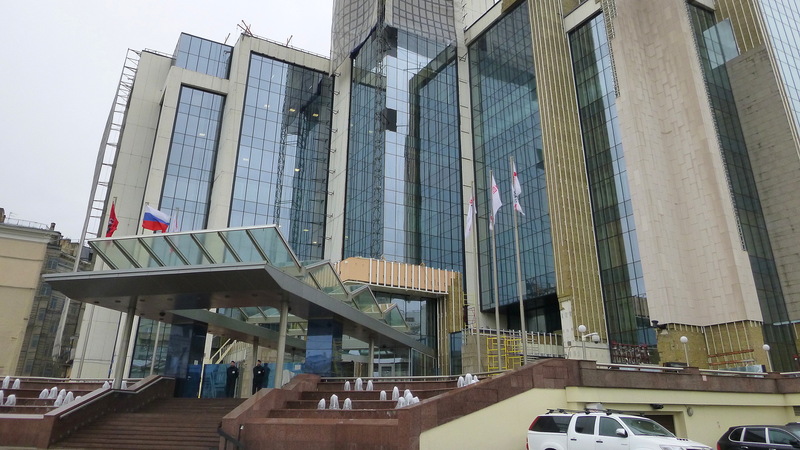 Financial district in Moscow, 2015. You don’t need to work here to start investing. If you think about saving money for traveling the world for a long time, you can also consider investing. Yes, I know it sounds scary, but don’t worry! If monkeys can do it as well as the professionals, so can you. The keyword for investing? Diversification. In other words, you should spread your money in many places to lower the risks. There is no reason for a low-scale investor to buy stocks of isolated companies. Just buy shares in passive, low-cost invest funds. You should also never invest all your money at once. Instead, place your funds in smaller pieces for a longer period of time, such as once a month. Investing doesn’t need to be too complicated. In fact, it’s usually better to keep investing as simple as possible. While many people think about financing as active following of the market and constant changes, only a fraction of these active investors earn this way. Automatize your investments and don’t follow finance news too closely. In addition, minimize all the extra costs that will cut your revenues. Investing in actively managed funds is almost always a bad idea, so don’t do it. Just don’t. There’s always a risk in investing. When I started investing in April 2015, I placed about 7,000 euros from my savings at once to different passive funds. In hindsight, it would have been less risky to place that sum in smaller parts during a longer period of time. Additionally, I could have diversified much more. Now I put almost half of my investments into funds in Asia and developing countries. So, what happened to my investments? China happened. 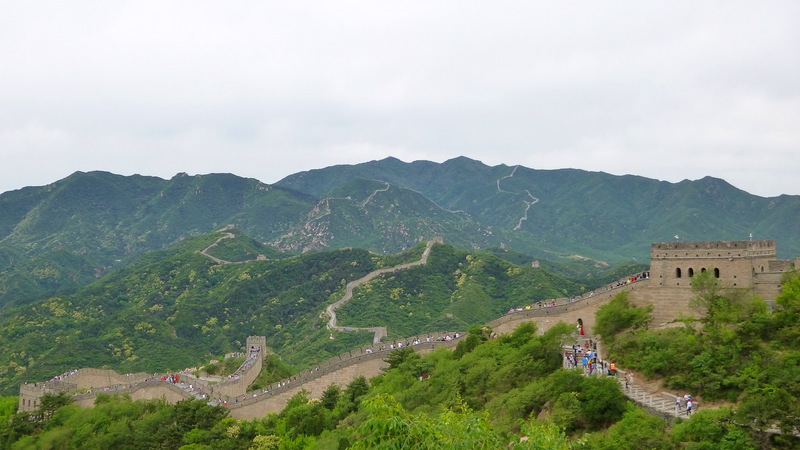 The Chinese stock market crash of June 2016 sent stock values plunging all around the world, and especially in Asia, bringing the value of my funds down by over 1,000 euros. The current financial stagnation has kept the share prices down ever since. Luckily I have enough other savings to fund my travels for some time, so there’s a chance that the funds will (at least partly) recover by the time I start drawing them out. 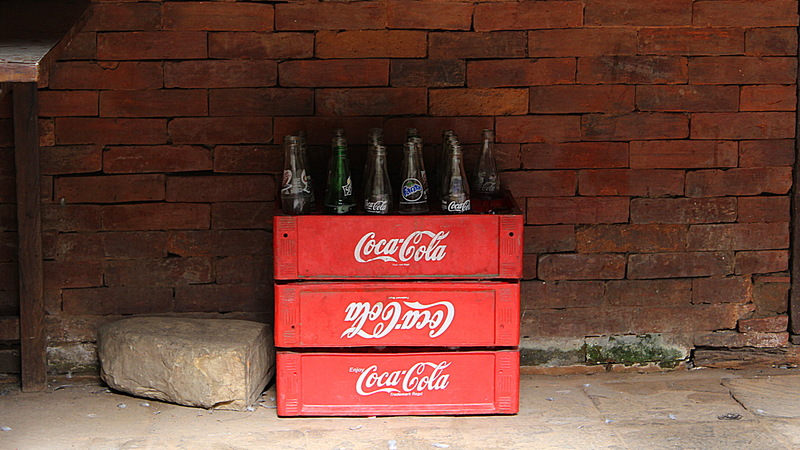 Empty soft drink bottles in the Durbar Square of Kathmandu, 2013. How to save money to travel around the world? Buy less. You might be surprised by how much you can save once you really start to question your shopping. You just need to start asking these two questions from yourself: Why do I really want to buy this thing? Do I really need it? You should also doubt the first answers your brain gives you. Yes, your brain is right when she says you need a jacket to keep yourself warm. But is that really the reason why you’re buying a new and expensive jacket from a luxury brand? If all you needed was a warm jacket, wouldn’t you buy something much, much cheaper? Once you’ll start asking these questions from yourself, you’ll notice the ultimate reason for many of your purchases: your social status. You might by a beer in a bar so you wouldn’t look stupid drinking water. Or you buy a book that you’ve already read to impress your guests with your convincing book collection. Even when other people don’t see us, we want to show ourselves that we belong to a certain class. For example, you might skip the cheapest products of the store brands just because buying them would feel like a disgrace to you – even if the product comes from the same factory as the more expensive brands. I’ve been saving a lot of money for traveling by preferring to drink water in bars. I’m not really interested in alcohol, so I don’t see a point for myself in buying ”a beer or two” for 5-15 euros. I keep myself motivated by thinking how much that money is worth somewhere else. For those 10 euros, I can eat four warm meals and sleep in a hotel room in Asia for one night. 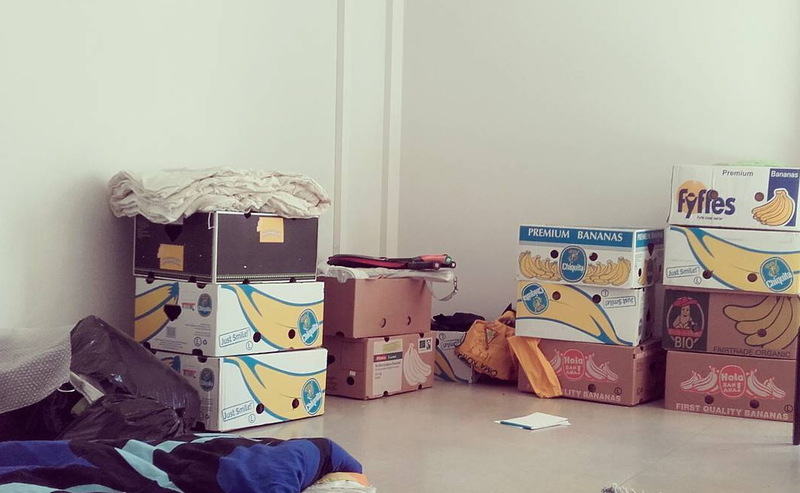 Before my trip, I usually tried to buy cheap items and I’ve bought most of my furniture second hand. I very rarely buy candies, but when I do, I usually buy a single chocolate bar or something else that costs less than one euro. But at the same time, I didn’t stress too much about it and I didn’t reproach myself if I ate more expensively every now and then. 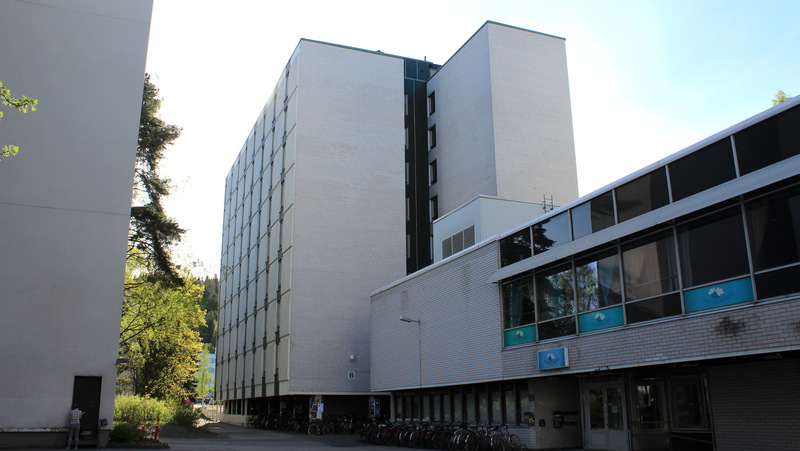 My last apartment building in Jyväskylä, Finland. Saving in food and furniture won’t do much if you have nothing left to save after you’ve paid your rent, mobile phone bill and monthly Netflix subscription. Luckily, the answer to this problem is very simple: find cheaper solutions and get rid of monthly memberships that you don’t really need. After you’ve done this, you will save huge sums of money each month without really doing anything. One of the best ways to reduce living costs is by getting a cheaper apartment. Move a bit further away from the city center and switch to a smaller residence. And if you think that you need a much bigger apartment, I can tell you a secret: you may be wrong. It’s your belongings that require space, not you. Your home may have imperceptibly turned into a warehouse, and the urge to buy more furniture may be a sign of this. After all, what are lockers, shelves and drawers, if not storage for more items? As a part-time university student, I’ve been able to live in cheap student village apartments. The newer apartments can be quite expensive, but I’ve only rented the older and not-so-well-maintained mini studios. As the rent also included both water and electricity, I really didn’t have any other obligatory monthly payments. This helped me as I saving money to travel the world. Oh right, and my mom is still paying my phone bill. Thanks mom! Living on the cheap in Nepal. Nagarkot, 2013. If you’ve ever made the switch from student life to working life, you’ve probably seen this happen. As your income level takes a huge leap upwards, your expenses are quick to follow. To defend yourself against this causal connection, you should at least be aware of it. Once you find yourself in this position, you have to ask yourself what you really want: Should you use the increased wealth right away or save it for traveling in the future? Why do people want to spend their fortune in pleasure and luxury? Because they believe they can achieve happiness that way. Why shouldn’t you do it? Because it doesn’t really work. Yes, scientific studies show that wealth can increase happiness – but only to a certain level. After this point, it doesn’t really matter what you earn. The way new possessions and achieved goals affect our happiness is even more interesting. After a short spike of joy, our mind soon returns to the original level of satisfaction. In a very telling classic psychology study, lottery winners weren’t much happier than paraplegic victims of catastrophic accidents. – in fact, the now paraplegic people got more joy out of their everyday activities. I once ended up in the extremely lucky situation that I landed a well-paid summer job as a journalist in Yle, the National Broadcasting Company of Finland. The salary? About 2500 euros a month before taxes – and by working on night shifts and weekends, I sometimes managed to earn over 3000 euros a month! While that’s still less than the average salary in Finland, it’s a shitload of money for most people of the world and it was a shitload of money for me as well. So, how did the huge leap in my income level affect my use of money? Well, it didn’t. I leased an empty room in my friend’s apartment near Kontula, one of the most infamous suburbs of Helsinki, and stayed there until my friend gave up the place. For the last month of my work, I moved to a shared flat in the outskirts of Helsinki. Luckily, this new place was closer to the company’s headquarters – only about 10 kilometers away – so I started to save on public transport and go to work by bicycle when it wasn’t raining too hard. My studio apartment two weeks before my departure. This one is simple: sell, sell and then sell some more. When you start getting rid of your extra belongings, you have plenty of options. You can rent a table in a flea market, sell items online (in sites like eBay or any local websites of your country), join suitable Facebook groups, post the stuff you want to get rid of in your social media pages or just ask your friends directly if they want to have stuff. Vending requires a lot of time and there’s no guarantee that all your items find new owners, so start early. That way, you have time to lower your prices or think of other ways to give away your belongings. And even if you don’t get everything sold, I recommend you still donate them somewhere or give them up. You’ll feel better and less shackled after that. I didn’t sell everything at once. Instead, I slowly started the process last fall, about eight months before my departure. 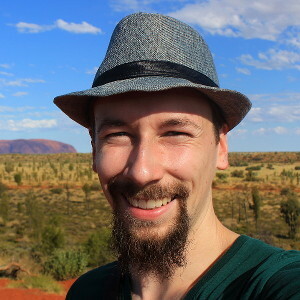 I sold CD’s on my Facebook page and Huuto.net, a Finnish equivalent of eBay. I also sold some furniture in another Finnish website Tori.fi. This year, I also had a table in a flea market and used the aforementioned ways to get rid of even more stuff. I also put a lot of stuff in recycling – and just threw some items in the garbage. Because I’m traveling for such a long time, I also sold and gave away almost all of my furniture before my departure. As I had bought many of the pieces of furniture secondhand, it’s a deal where I don’t really lose or gain anything: when I settle down again, I can buy “new” secondhand furniture for just about the same price. 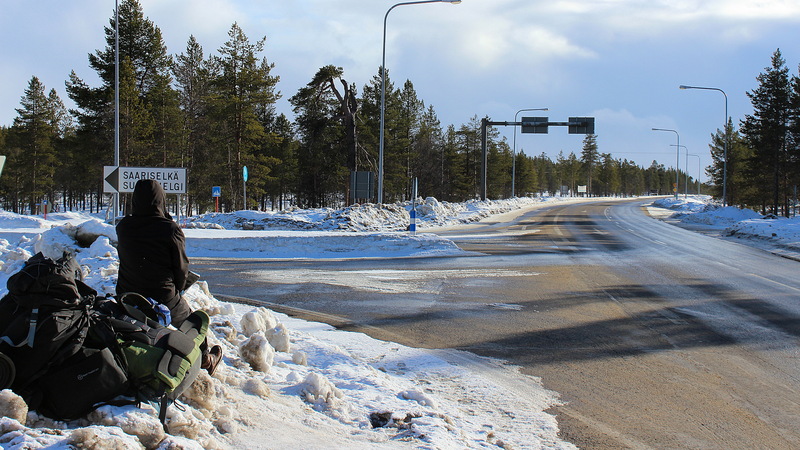 Hitchhiking with a friend in Northern Finland, 2014. Had it been summer, we could have slept in a tent every night and the trip would have been very cheap with virtually no money spent on traveling and accommodation. I’ve heard this comment countless of times in different forms during my years of traveling. Reading between the lines, I believe I know what people mean by super rich: they mean I’m something they could never be and the possibility to travel is completely unobtainable for them. I admit that I have a much better starting point than many other people. Yes, I come from a country where earning the medium income puts you in the richest one percent of the world population. And no, I don’t believe everyone could go on a trip around the world even if they spent two years working and saving money like I did. More importantly, my health doesn’t prevent me from traveling and I don’t need to spend my savings on medical costs. But to think that traveling is something only rich people can achieve? I believe that’s a myth. Even if traveling can be expensive, it isn’t always like that. 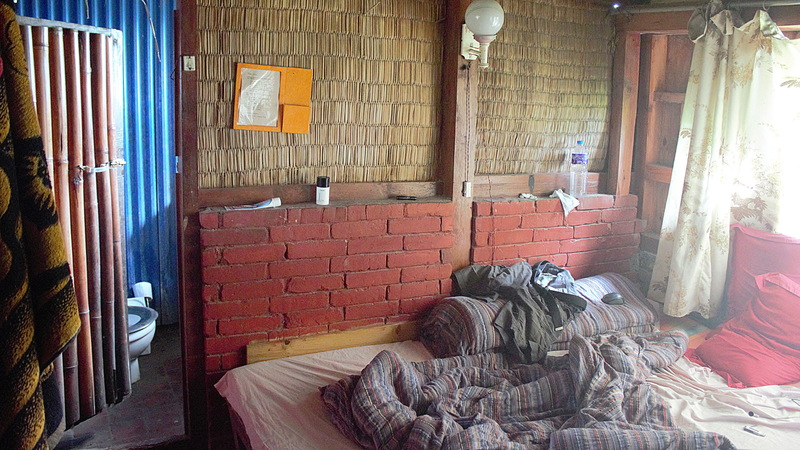 Sleeping in a 5 star hotel is expensive, but CouchSurfing is free. It’s like saying that living in an apartment is expensive – and backing your statement by showing the prices of the most expensive mansions of Los Angeles. If you start saving money to travel the world now and conscientiously keep doing it for some time, you’ll soon reach the point where your wealth is not preventing you from traveling.